The ugly, deadly trucks of TruGreen have already started their parade through the streets. The killing season has begun for many. Kill those weeds. Kill those bugs. Kill everything that lives except that genetically modified green swath of Kentucky Bluegrass that seems to be the necessity of everyone from homeowners to hospitals, businesses to bumbling bureaucrats who budget poison sprays for our boulevards and right-of-ways. Last spring, the fog of poison gas was so heavy in Dodge Park that we often turned our vehicle around and left the minute we got within detection distance. I confirmed by phone with the park ranger on duty that the poison spraying would continue for a few weeks. The pall of toxic fumes waft across intersections all throughout the city as you wait for a red light to change. Sickly sweet, it’s particularly pervasive when the breeze is light and sun is bright. It’s the smell of death. Not just of weeds but of humans, animals and plants. Less is more. 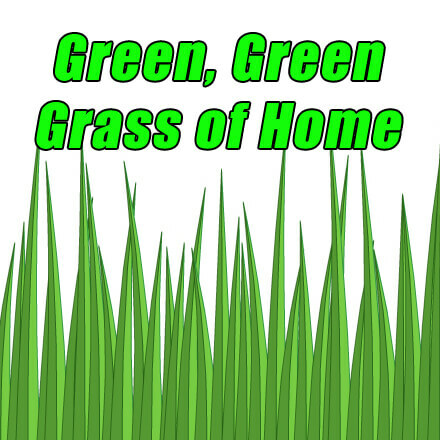 Lawn care companies love the idea that each house must have a lush carpet of lawn. That crazy notion gets Americans to spend upwards of $40 billion a year on lawn care. That’s billions with a B. There is a way out. Go natural. When we use chemicals on our lawns to keep them bug and weed free, those chemicals show up in our bodies. It doesn’t take much to figure out that if something kills a living organism, it may not be a good idea for that substance to be building up in our own cells. Apparently, a lot of people would rather have green grass than healthy children, pets and bodies. People toss around devastating weed-zapping chemicals like they were little more than watering the grass just to take the easy route to a green lawn. But experts are now warning us we may be endangering our own health as well as the micro-environment that is our own lawn. The current crop of popular lawn chemicals may be even more dangerous than the ones that have been banned over the past decades. There was a time that DDT was considered as safe as mother’s milk — until it started showing up there. We were told DDT was safe but it was banned in 1972. Dursban, (chlorpyrifos) was another popular poison commonly used on lawns and even sprayed indoors. We were even told it was “natural” because “it’s made from the active ingredients from organic chemicals and is totally safe.” But it ended up banned by the EPA for home use in June of 2000. Now, make no mistake about it, RoundUp is a disaster. Deadlier than all of them. One scientist for the EPA, Dr. Routt Reigart, was quoted by CNN as saying “There are concerns with many of the chemicals, pesticides, herbicides, fungicides,” he said. “You should use the chemicals as little as possible — and in many cases that means never at all.” Most importantly we must realize the danger and the cost of those lawn chemicals is unnecessary. There are better ways to a green lawn. Get real Change your perspective. Lawns need not be 100% weed-free or golf-course perfect. If you change your outlook, you may end up with a diverse ecology in your yard with plants other than grass that can be equally as attractive. You can still groom. Proper mowing After grass is established, cut it at the longest setting with a sharp blade. Longer grass holds more moisture and shades the groundcover to deny weed growth. Leave the clippings Use a mower that can cut the grass so finely that it leaves the grass blade residue behind as an organic fertilizer. That lessens the need for additional fertilizers. Note: If you are just beginning to wean your lawn off drugs, collect and discard the clippings. They contain the very chemicals you are trying to avoid. Fertilize with organic, like chicken poop, when needed. Water wisely Water deeply rather than often. Be accurate. Don’t water the driveway. Be innovative. We dress the hose from our air conditioner condensation so that it irrigates our garden. Control weeds and bugs naturally. Learn about using aphids, mealy worms, etc., One ladybug eats about 100 aphids a day. A herd of ladybugs beats a gallon of poison. A few minutes spent in the yard digging weeds or crabgrass is a non-toxic way to rid the lawn of plant pests. Overseed bare patches. The thicker the grass, the less likely it is that weeds will survive. Often a rinse with a garden hose can knock pests from plants. Some sources recommend spraying a very weak solution of biodegradable dish soap liquid and water for many insects. Even grubs have natural enemies. There is a type of nematode that attacks them and leaves all else alone. Xeriscape. Devised by a water utilities planner in Denver in the 1980s, xeriscaping is the practice of choosing indigenous plants for your yard that survive without irrigation or with little water beyond that which is provided by nature. The plants chosen vary by climatic region but may include ornate grasses, flowering plants, shrubs and so on. Once established, the result can be a very low-maintenance yard that is both beautiful and ecologically healthy without the need of excessive watering or chemical applications.